I tried starting this blog post a number of different ways, but all I kept thinking was this: with friends like these, who needs models or styled shoots? Holy cow. Alex and Nina are two of the most genuinely lovely people we know and to have the privilege of calling them friends, let alone getting to photograph their engagement (and wedding, which we'll share soon! ), is a singular honor. There is no amount of directing that can make up for two people who not only love each other, but moreover actually like each other as well. Most of the session we simply had to say "just go stand over there and flirt with each other" and...well, you can see for yourself. 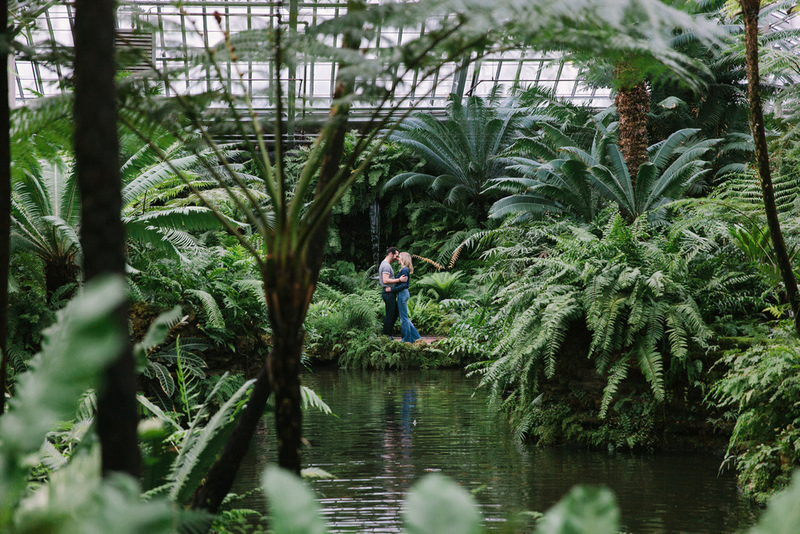 We hope you enjoy these images from our time together at the Garfield Park Conservatory and all its tropical splendor.